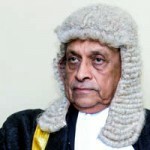 In the wake of strong protests against the highly controversial Code of Criminal Procedure (Amendment) Bill, the Joint Opposition has urged Speaker of Parliament Karu Jayasuriya not to take up the bill in Parliament on October 5, 2016. In a letter addressed to Jayasuriya today, Joint Opposition Parliamentarian Dinesh Gunawardena also requested Jayasuriya not to take up two other bills which is scheduled for this month. The bills are; the Buddhist Temporalities (Amendment) Bill, and the Theravadi Bhikku Kathikawath (Registration) Bill. Citing reasons for his request, Gunawardena said that both the Maha Sangha and the Public have requested time to submit their observation to the Members of Parliament and the Political Leaders on the relevant three bills. “Therefore, we request these bills not be taken up as scheduled,” Gunawardena said in the letter. He also requested Jayasuriya to accommodate the request at the party leaders meeting scheduled to be held tomorrow (Monday). In September, the Human Rights Commission of Sri Lanka called on the Government to withdraw the proposed amendment to the Code of Criminal Procedure Act which deprives suspects of access to lawyers until their statements are recorded. 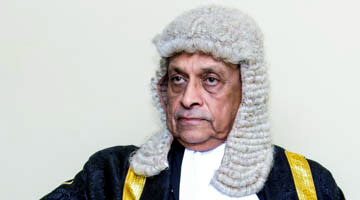 In a letter addressed to Prime Minister Ranil Wickremesinghe on 21st September 2016, the Commission’s Chairperson Dr. Deepika Udagama expressed concern that the Bill published in the Gazette on the 12th of August 2016, proposing to amend the Criminal Procedure Code, will deprive suspects arrested and detained by the Police of access to Attorneys-at-law, prior to the recording their statement, and will adversely impact on the constitutionally guaranteed rights of persons including the citizens of Sri Lanka. Following this statement, the Asian Human Rights Commission also expressed their opposition to the proposed amendment, citing that amendment is not merely an attack on the rights of a suspect, but it is also a fundamental attack on the rights of the legal profession. Yes. Peoples wishes need to be heard. The People’s voice need to be heard. This Criminal Procedure Bill is license to kill citizens after arrest, whether guilty or not, and them dispose their bodies, without even giving the loved ones to give last rights, and move on with life. Is this Yahapalanaya, Good Governsance? Even the notorious Mahinda Rajapalksa, despite all his flaws, did not contemplate such a drastic license to kill and dispose the bodies. Are the Joint Opposition guys crazy? Even if the bills are taken up in the Parliament, why cannot these JO jokers propose amendments? Which country are they living, which Parliament are the attending? Whose bright idea is this amendment to the code of Criminal procedure, depriving access of victims to legal help? Why is the Governement wasting so much of energy on this when there are hundreds of genuine matters to be attended and corrected?